This hexagonal v shaped necklace forms a lovely base to embroider on. 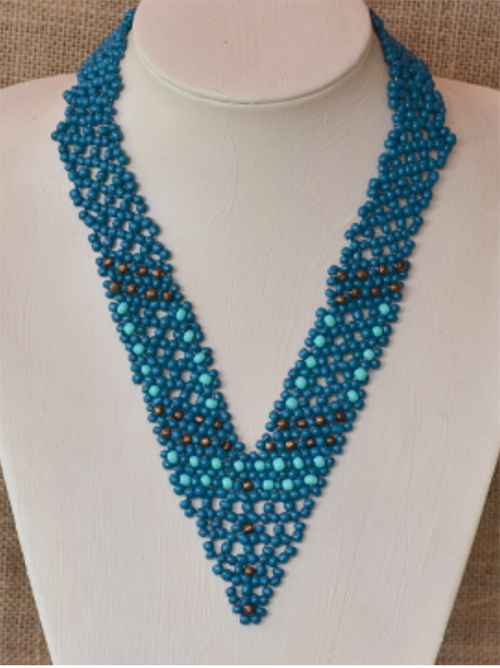 You can fill the holes with beads of your choice and play around with different designs. Once you get the hang of the hexagonal stitch, it becomes easy and versatile.